Japan's ruling LDP party has urged the government to “immediately consider” deploying US anti-missile systems and introducing cruise missiles capable of directly striking North Korean bases in response to a potential attack from Pyongyang. 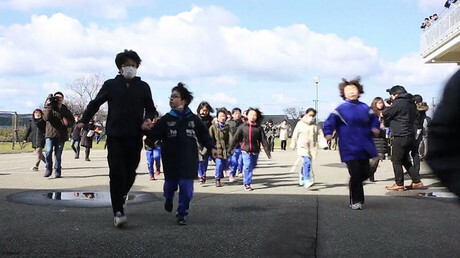 Tokyo has long voiced concerns about becoming a possible target for Pyongyang, which conducted two nuclear tests in 2016. Three ballistic missiles test-fired by the North Korean military landed off the Japanese coast earlier in March. 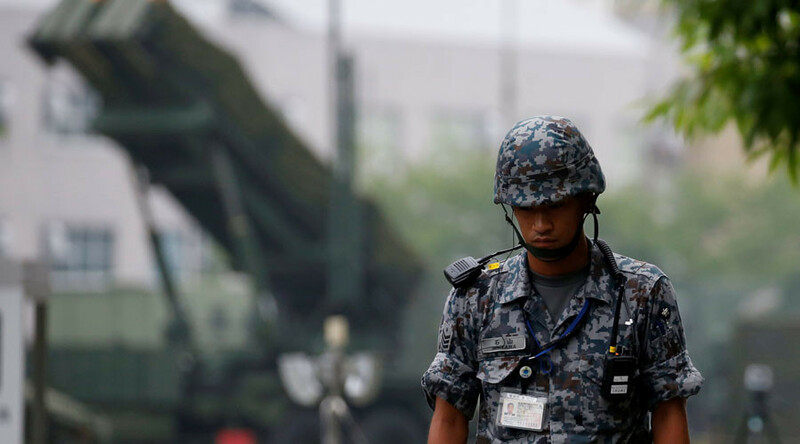 The recent escalation of tensions prompted the security panel of the ruling Liberal Democratic Party (LDP) to draw up an “urgent proposal,” Former Defense Minister, Itsunori Onodera, said as cited by the Times of Japan. “North Korea’s provocative acts are reaching levels our country can simply no longer overlook,” the panel said, according to AFP. The group said the government should swiftly look into options to allow striking enemy bases, including putting cruise missiles on service. Japanese authorities were also advised to “immediately consider” the introduction the US Terminal High Altitude Area Defense (THAAD) and shore-based Aegis missile defense systems. “We can't waste a moment to strengthen our ballistic missile defense,” the panel said. Aimed at deterring missile launches from North Korea, THAAD has recently been deployed in South Korea. China has raised concerns that the system puts its national security at risk. Moscow also said that the deployment does nothing to ease tensions on the Korean peninsula. The security panel emphasized they weren’t talking about developing first strike capabilities, saying the cruise missiles should only be unleashed should North Korea ever launch an attack on Japanese territory. This way, the initiative falls in line with the Japanese pacifist doctrine which only allows the country to use military force in self-defense. The proposal will be submitted to Japanese Prime Minister, Shinzo Abe, as early as Thursday, the panel said. Abe has been pushing for revising the constitution — saying the principal law, introduced under pressure from occupying US forces after Japan’s defeat in World War II, is outdated and not in line with modern threats. The PM is also a strong backer of boosting military ties with the US, with 47,000 American troops already stationed in Japan to guarantee the country’s security as part of an alliance. In 2015, Abe’s government has passed a controversial new law that allows the Japanese Self-Defense Forces to take part in foreign military ops to protect their American ally. Critics criticized the move as unconstitutional, warning that it may drag the country into conflicts abroad which have nothing to do with Japanese security.